Joseph John Petruff, 94, passed away peacefully on November 10, 2018 at St. Francis Hospital and Medical Center. 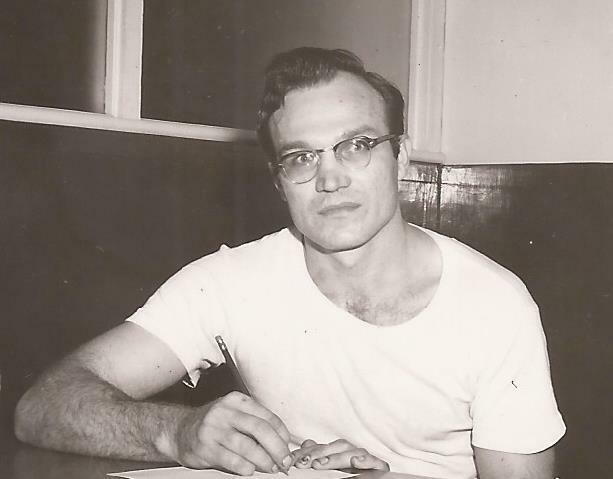 Joseph (Joe) was born on March 28, 1924 in St. Clair, Pennsylvania, son of Michael Petruff and Mary Matulka. He was predeceased by his wife Helen Florence (Jasinski), brother Edward Joseph Petruff, and son Stephen Joseph Petruff. He is survived by two sons and three daughters: Andrew Petruff and wife Muoi of Somers, CT; Joseph Petruff Jr. and wife Fumi of Okinawa, Japan; Marge Cappello and husband Joe of Kensington, CT; Cathy Rice and husband Bob of Windsor, ME; and Mary Ellen Castro and husband Raymond of Watertown, CT. He also leaves his brother Francis Petruff of Farmington, CT and sister Elizabeth (Betty) Brousseau of Bristol, CT; twelve grandchildren; four great-grandchildren; one great-great-grandchild; and many nieces and nephews. As a youth, Joe worked in Pennsylvania coal mines as a coal sorter. He later entered the seminary where he studied for seven years and joined the La Salette order as a religious brother. Discerning that this was not his vocation, he left the order prior to making his final profession. Joe became a tradesman in New Britain, working first at Stanley Works and then at Stanley Tools as a toolmaker. He married and fathered six children, working two jobs when needed to support his growing family. Joe read to his children from the Bible at night, prayed the Divine Office and rosary regularly, and attended daily mass as often as he was able. He resided in Kensington for 59 years where he was a parishioner of St. Paul’s Church. For the past 5 years Joe made his home in Somers with his son Andrew and his loving family.